Nothing says Ghostbusters® like bright green slime. 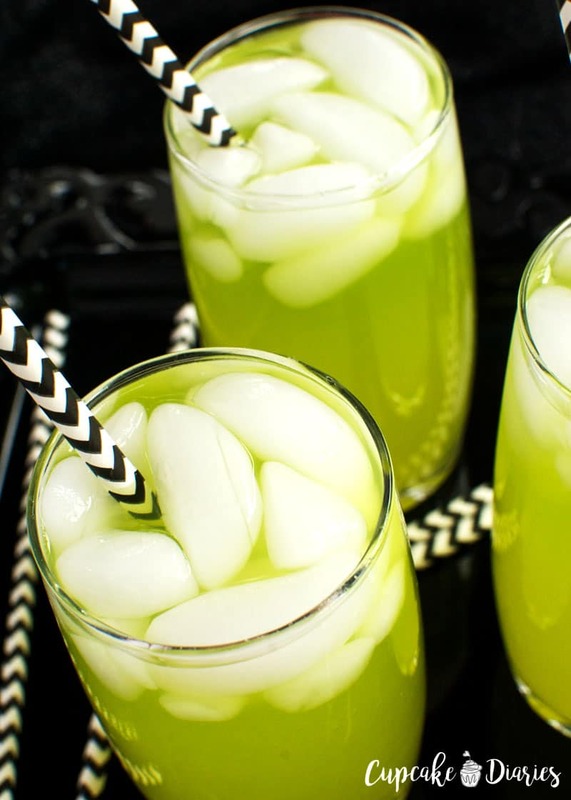 Slime Punch is the perfect drink to serve at a Ghostbusters® or Halloween party! And it’s kid friendly so everyone can enjoy. 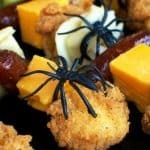 The ingredients make a fun Halloween BOO kit for the neighbors! 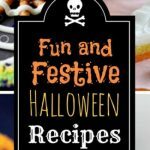 Halloween is such a fun time for so many things: dressing up, having parties, decorating the house, and so much more. Our family loves the tradition of BOOing the neighbors for Halloween. Nothing beats ding dong ditching while leaving something fun on the doorstep. 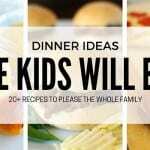 My kids could do that every night if we let them. We were able to go to Walmart and find everything we needed to make a Ghostbusters® themed BOO kit for one of our neighbors. 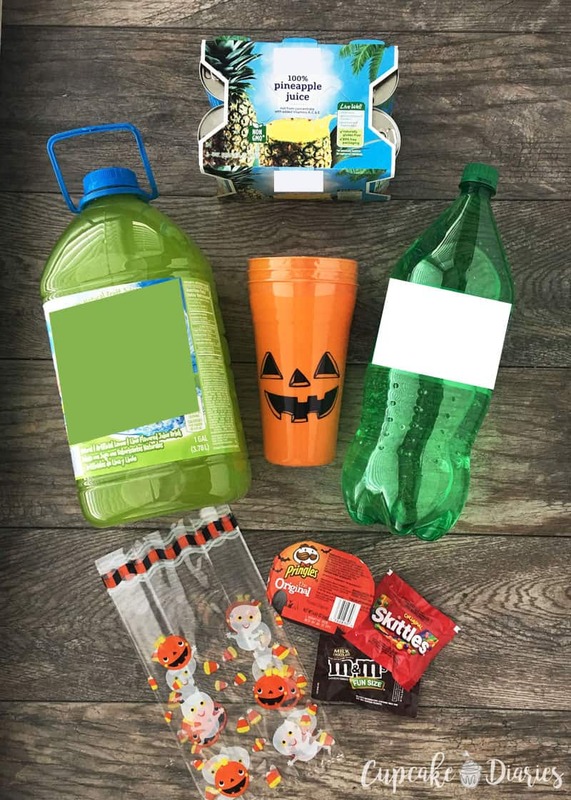 The kit included everything the family needed to make Slime Punch, as well as some fun treats to go along with it. 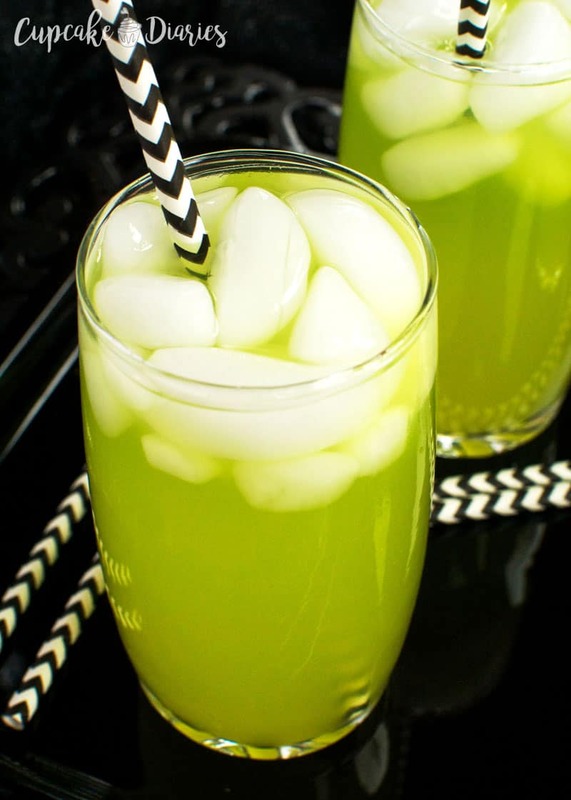 Slime is the first thing I think of when I think of Ghostbusters®! Slime Punch seemed very appropriate for this BOO kit. We found a black cauldron to hold some of the kit and placed the rest of it on the doorstep. 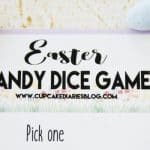 We packaged up some treats for each member of the family in some Halloween treat bags. You get a fun Ghostbusters® “You’ve been BOO’d” card with the instructions on how the BOO kit recipient can BOO someone else. Ghostbusters® is now available on Blu-ray and DVD in Walmart stores and can be preordered on Blu-ray or DVD now! The movie would be the perfect addition to a Ghostbusters® BOO kit. Ghostbusters® is also available on VUDU. 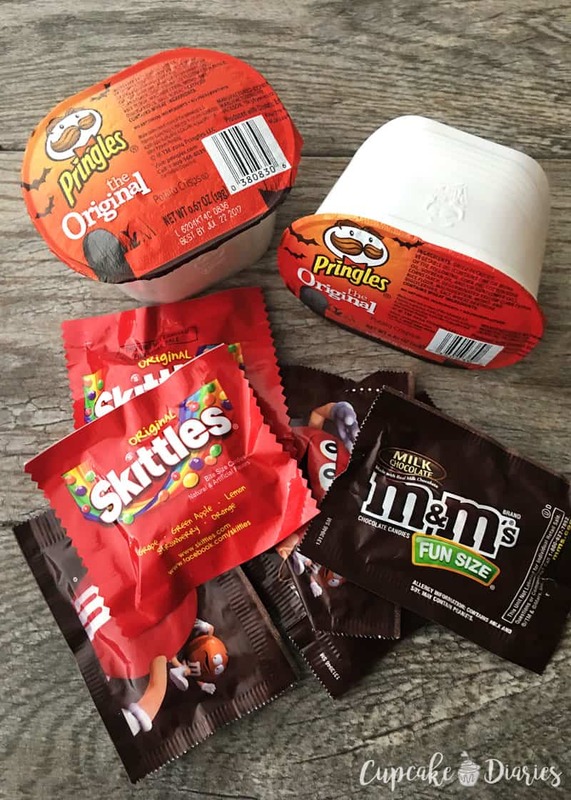 I purchased M&M’S® Fun Size, Skittles® Original Fun Size, and Pringles® to add an extra treat to the BOO kit. They were the perfect size to put in the treat bags. 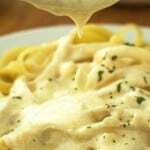 Not to mention delicious! Fill treat bags with M&M’S® Fun Size, Skittles® Original Fun Size, and Pringles®. Print BOO card and Slime Punch directions card. 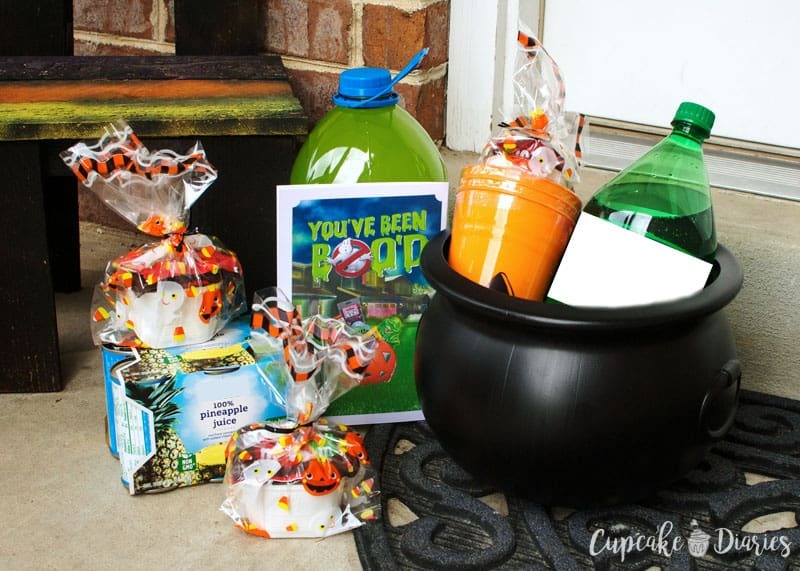 Place Slime Punch ingredients in and around the cauldron or other Halloween container. Place BOO card and Slime Punch directions card with the BOO kit. You can deliver it ding dong ditch style, place it on a co-workers desk, etc. My children would prefer the doorbell! 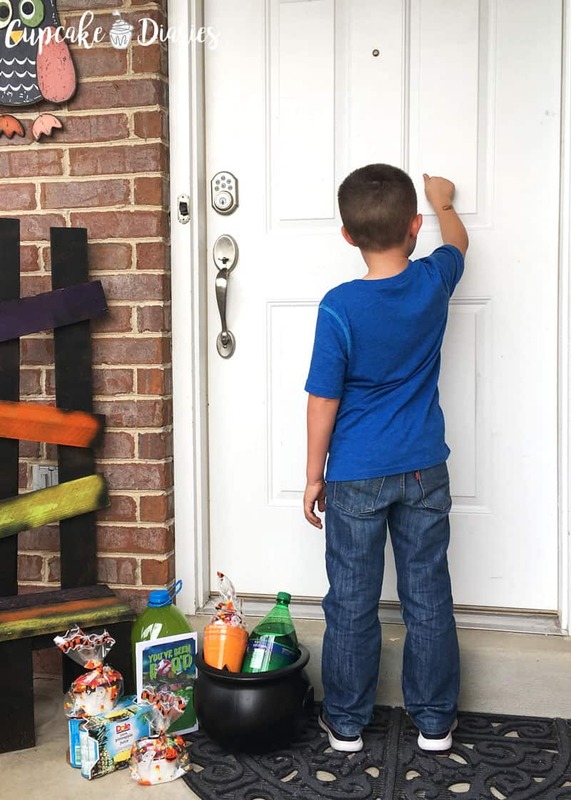 BOOing is the perfect opportunity to make someone’s day and pay it forward. You can find everything you need at Walmart for your BOO kit. Or you can stay at home and order it all from Walmart.com! We chose to BOO one of our fantastic neighbors this year. But BOOing can be for anyone! 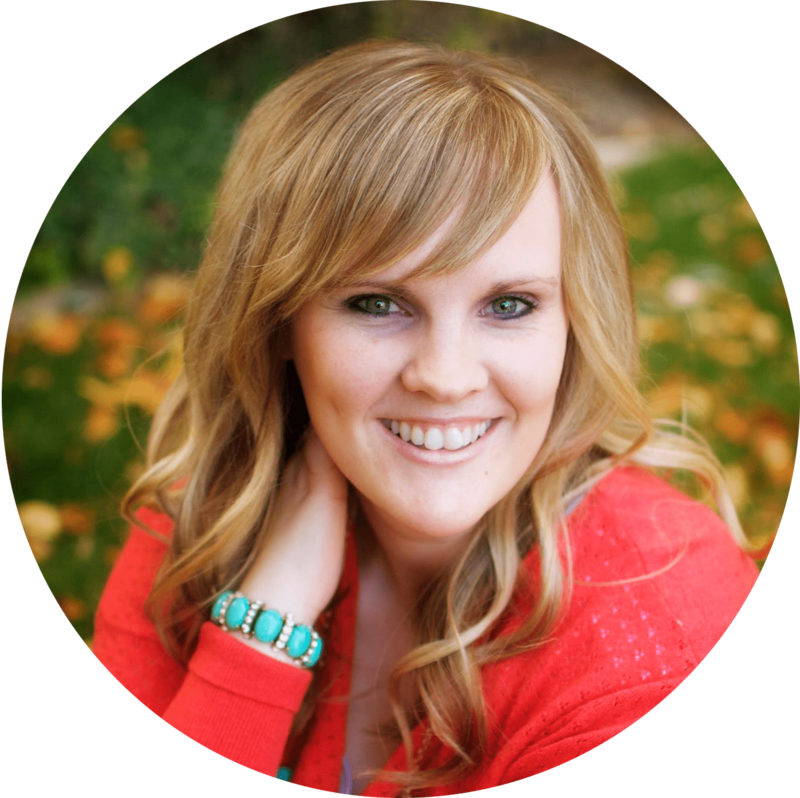 You can BOO a special teacher, a co-worker, your local fire or police department…BOOing is such a fun way to show someone you care. 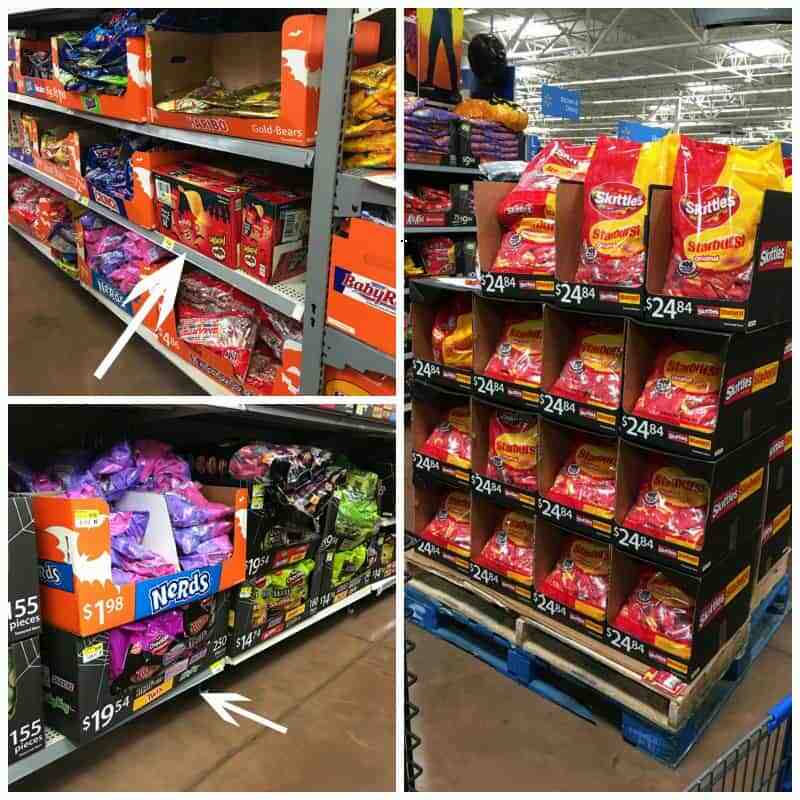 You can find all of these treats in the Halloween section at Walmart! 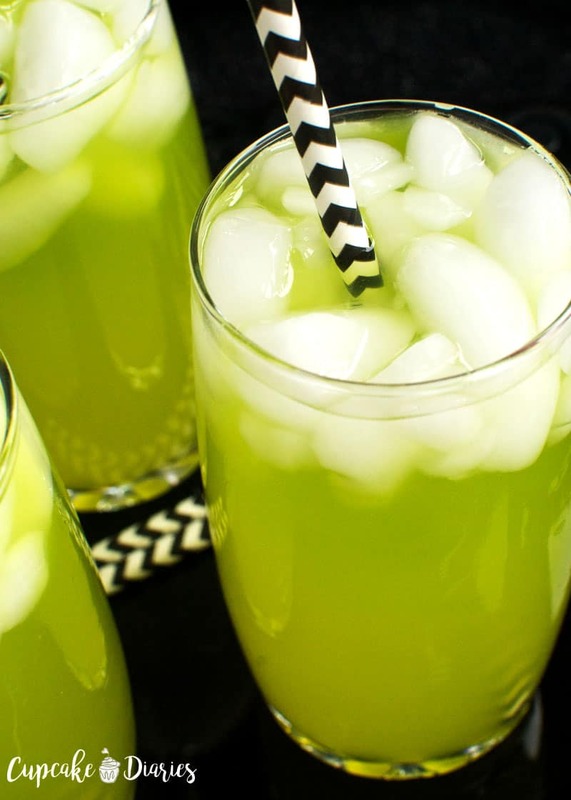 Let’s dig into the recipe for Slime Punch! My kids loved the flavor and that it looked like slime. 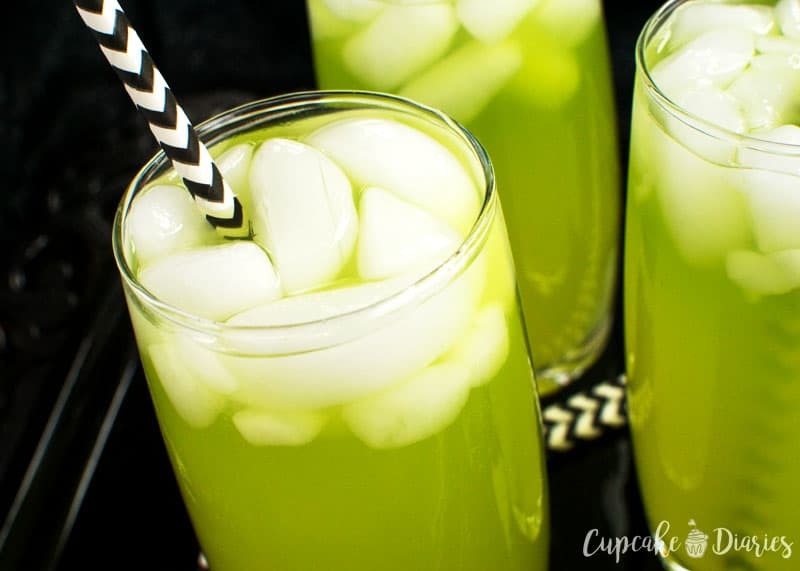 This is a great party beverage! Combine all ingredients in a large pitcher or punch bowl. Serve cold in cups over ice. 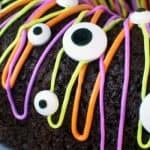 This is a super easy recipe for any Ghostbusters® gathering. 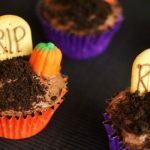 And really fun for a BOO kit! Head to Walmart for all your BOOing needs! Including the Ghostbusters® movie, now available on Blu-ray and DVD in stores. 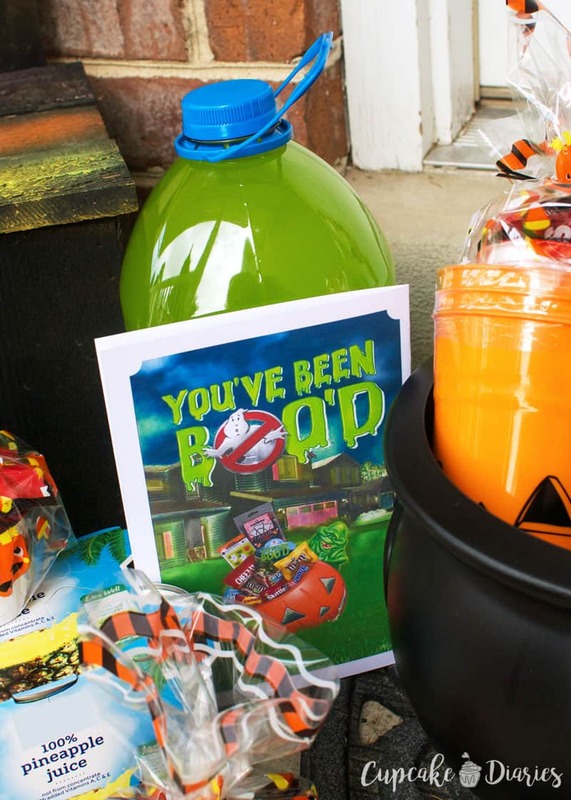 Enter the BOO It Forward Sweepstakes for a chance to win a $500 Walmart gift card! That punch is very fitting for a Ghostbuster celebration.